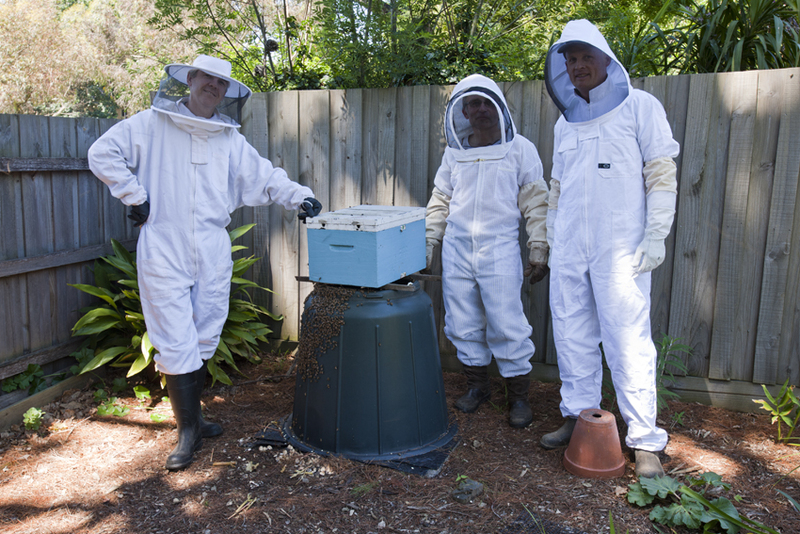 Perm-apiculture - the Natural Beekeeping group: Bin there, done that. 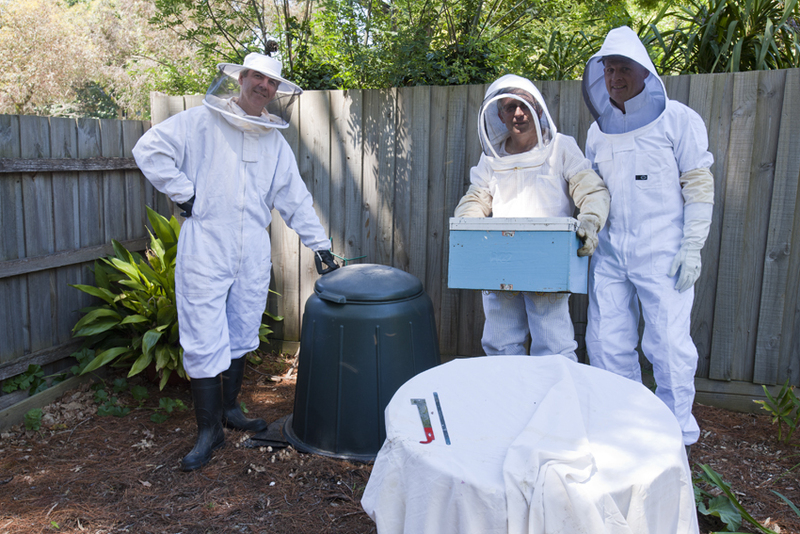 As a service to the local community, beekeepers will often assist with the removal of bee swarms and colonies which have settled in troublesome places. 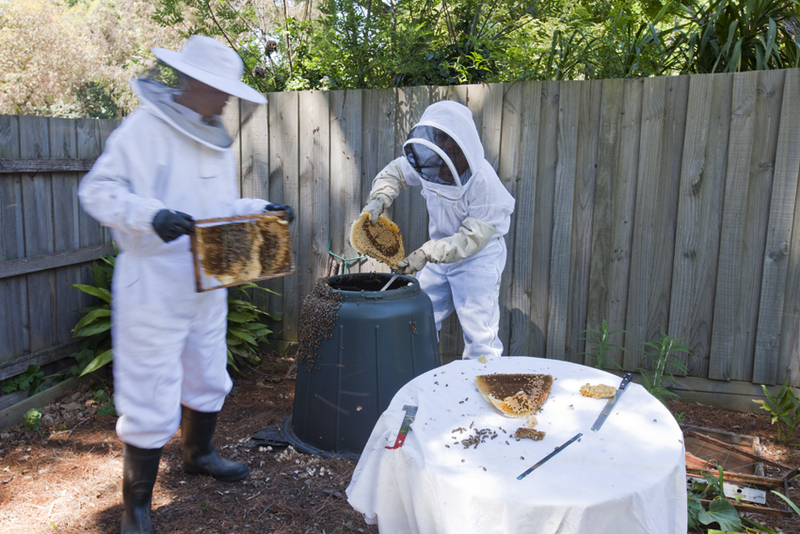 Better to do that (and perhaps build your apiary) than allow exterminators and 'pest controllers' to wipe them out. Possum boxes (as homes for bees) are mentioned elsewhere on the blog, compost bins seem to be another favourite place for bees to settle. Bees high in the trees bother no-one - bees in the bin can be more of an issue. Today we (Andrew, Ben, Tony) removed such a 'compost colony' for an elderly lady. It will be rehomed in Elthan with Ben. Ben is a professional photographer and convenes the local Permie group at Eltham. 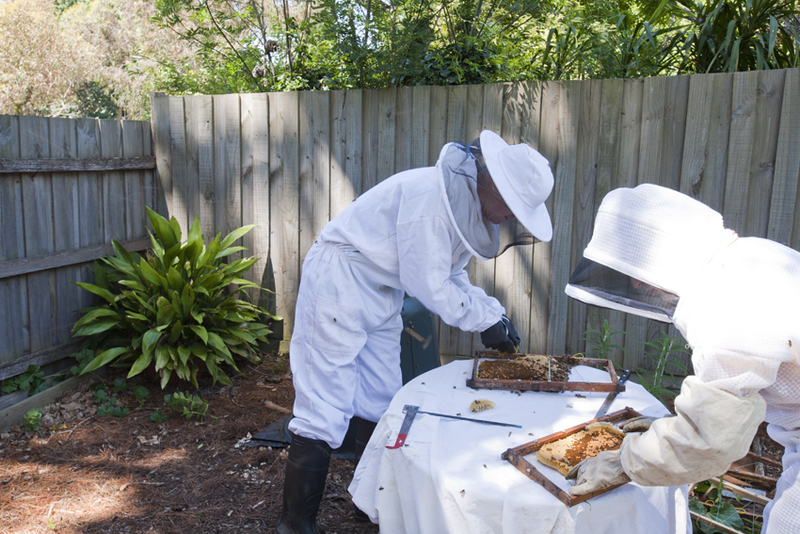 He met us through Andrew's Natural Beekeeping presentation to that group and was so enthused he wanted to get started right away. Here are some of Ben's (the good ones) and Tony's (the snaps) pictures. Ben's working on an animated version . . .
Framing comb - working fast!